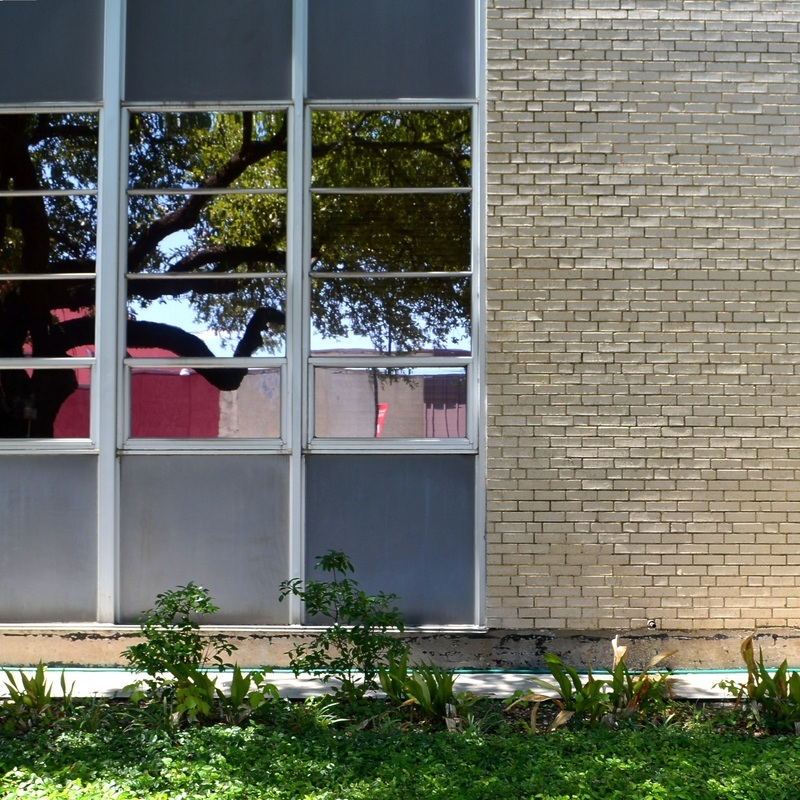 "The county comprises 788 square miles of the Blackland Prairie region of Northeast Texas. The terrain is predominantly level to gently un-dulating, with an elevation ranging from 300 to 550 feet above sea level. 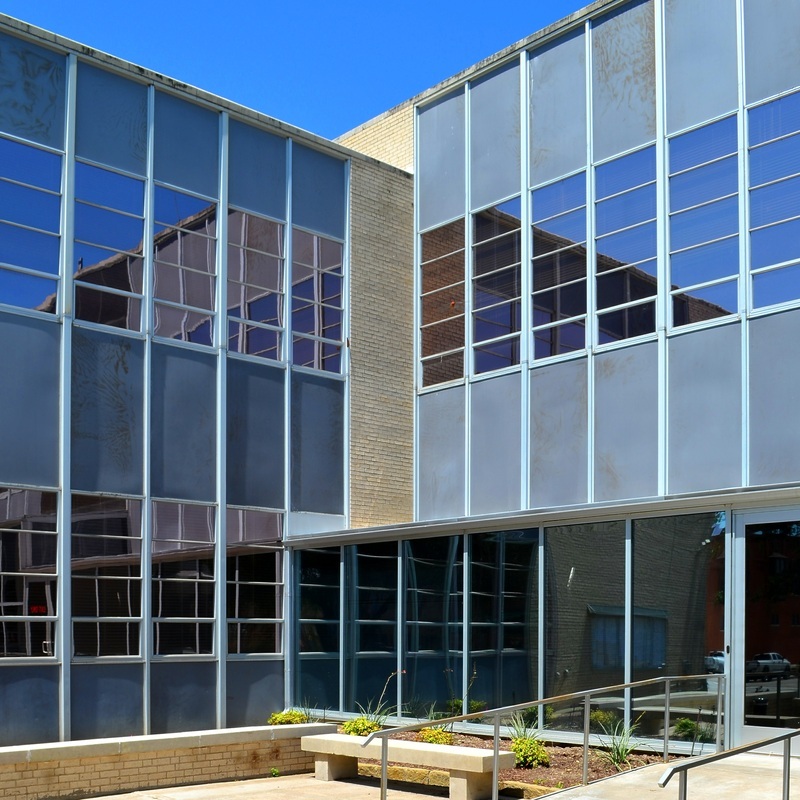 "The first Kaufman County settlement was started in 1840 by William P. King and a group of forty pioneers from Holly Springs, Mississippi, who had purchased certificates for headrights from the Republic of Texas. The group built a fort and named it King's Fort in honor of their leader. 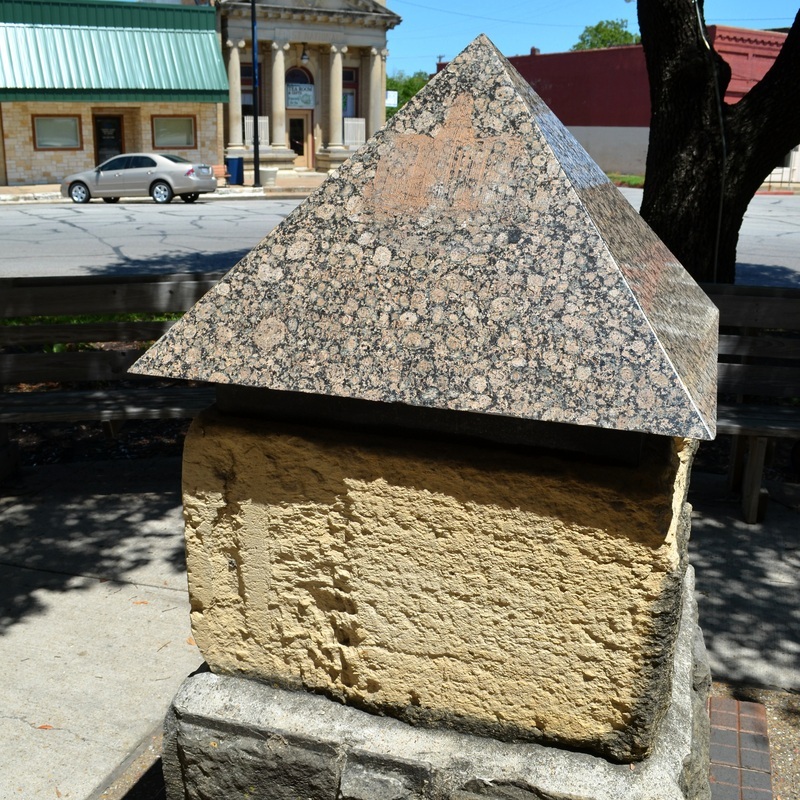 "On July 27, 1846, after the annexation of Texas by the United States, King patented the survey that included King's Fort with the new state government. The territory was at that time part of the recently organized Henderson County. 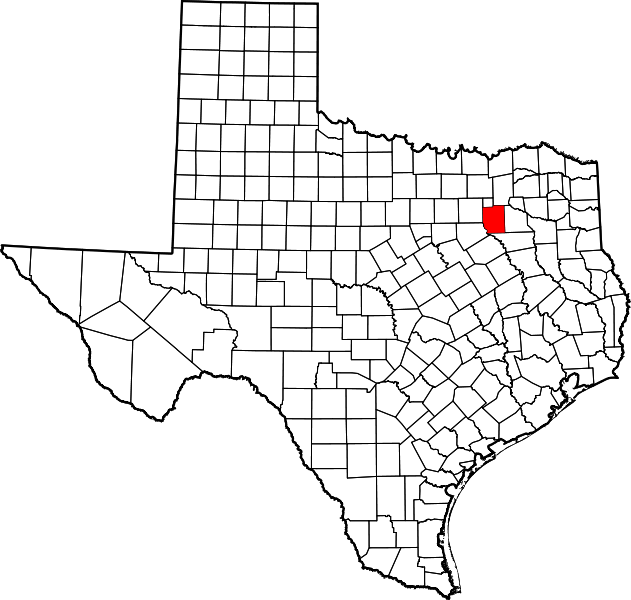 Kaufman County was drawn from Henderson County, established in February 1848, and named for David Spangler Kaufman, a diplomat and member of the Congress of the Republic of Texas, the legislature of the state of Texas, and the Congress of the United States. 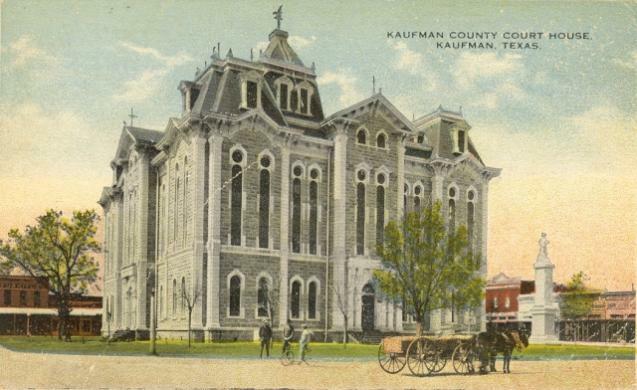 King's Fort was renamed Kaufman and became the county seat in March 1851, after four elections. The county's northern boundary was reduced by the establishment of Rockwall County in 1873, and its limits have since remained unchanged." I visited Kaufman County and photographed the courthouse in Kaufman on Sunday, August 19, 2012. Judge J. E. Dillard, by instruction of the county commissioners, advertised for sealed bids to erect a stone courthouse for Kaufman County. " The building is to be constructed out of good stone , each stone being personally inspected by the architect Mr. Dunson of Waco. The building is to be 98 x 114 feet. The outside walls are to be 60 feet high. From the ground to the top of the tower will be 124 feet. The base of the walls will be six feet wide, laid in cement and gravel two feet thick. The foundation stones will be six feet long and one foot thick and laid cross ways. The foundation will be of the very best quality of blue limestone up to the first water table, about four feet. The walls, in and outside, all the way to roof, will be of good stone two feet thick. The corner stones will be of White Kaoline - a very beautiful rock, susceptable of a fine finish. The stairways are to be of iron, excepting those in the tower. There will be three stories - county and district court rooms and clerk's offices and grand jury room. The building will be a facsimile of the Weatherford courthouse save the corners and height of tower, which will be six feet highter than the Weatherford courthouse tower. In the tower there will be a place for a clock, but as yet the court will not buy a clock. The building is to be completed by October Ist 1887. After that date, if the building is not completed according to contract and specifications, a forfeit of fifteen dollars a day will be deducted from cost." Trival fact: Architect A. Warren Morey (Texas registration number 1465) also designed Texas Stadium (which opened in 1971), home of the Dallas Cowboys football team, until it was demolished (imploded, actually) on April 11, 2010. According to an article by Michael Granberry in The Dallas Morning News from 2008, "Born in Wichita Falls, Mr. Morey moved with his family to Tulsa, Okla., before he was 5. He began college at what is now Oklahoma State University by taking courses in chemical engineering. But one night, he dropped in on a fellow student and saw architectural drawings all over the wall. He soon switched majors. 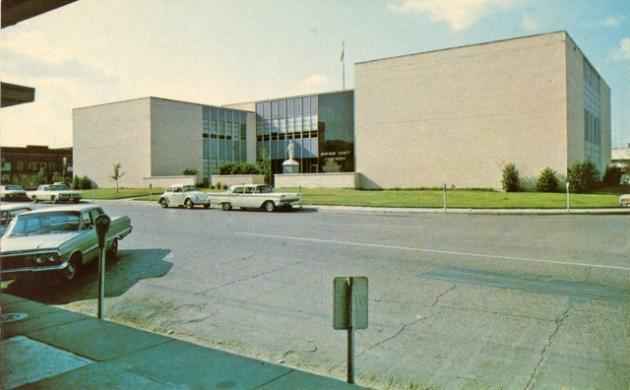 Mr. Morey opened his own firm in Dallas in 1957."